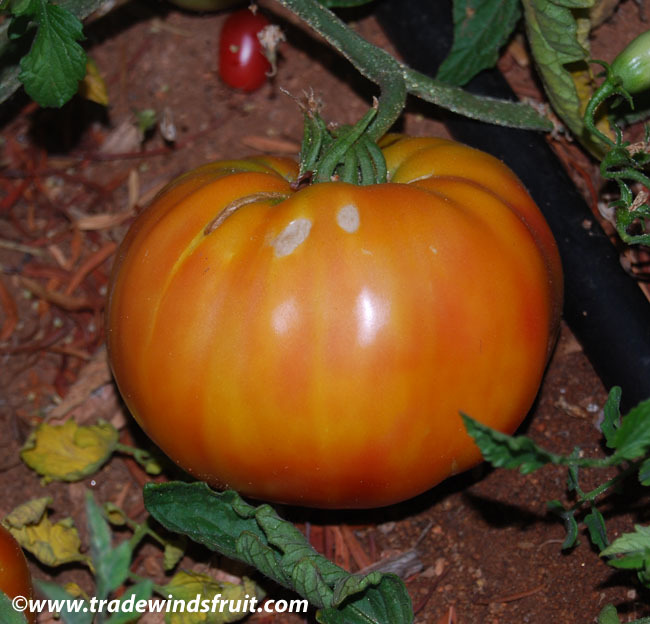 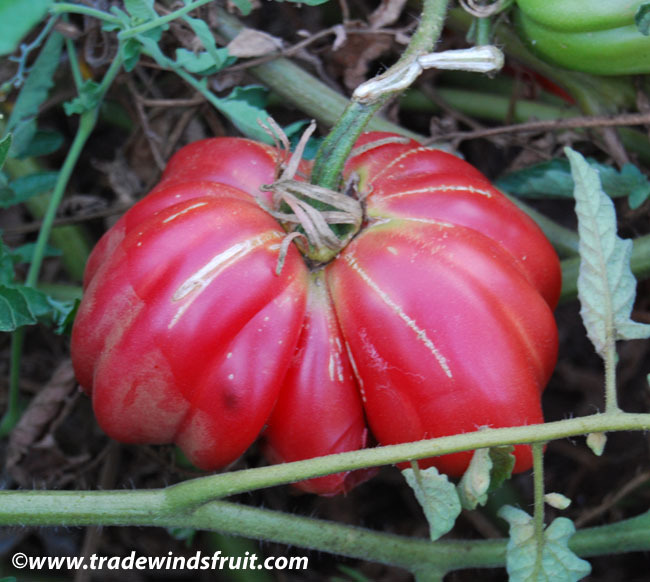 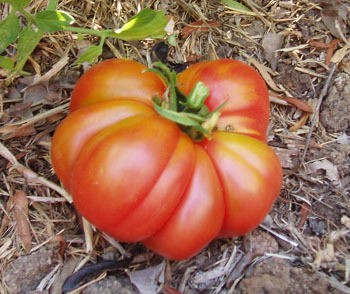 Medium sized, deep-red skinned tomato. 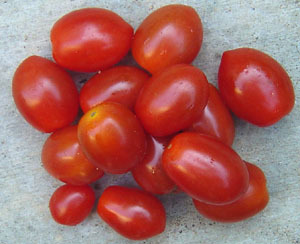 Fruits generally weigh 3-5oz. 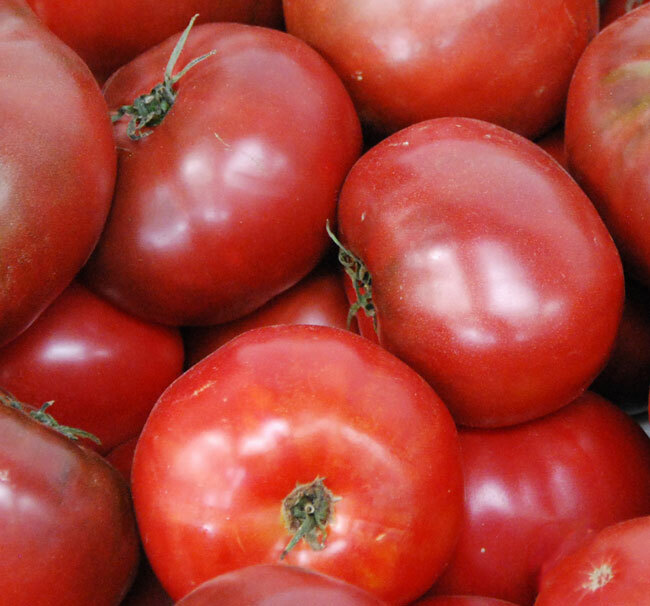 Flavor is full. 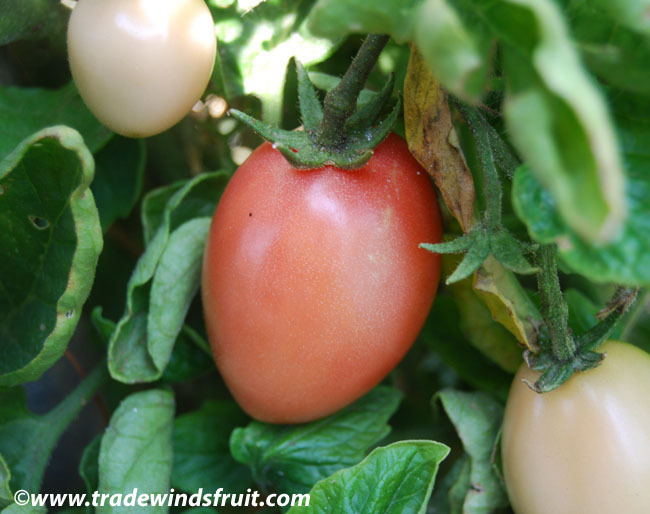 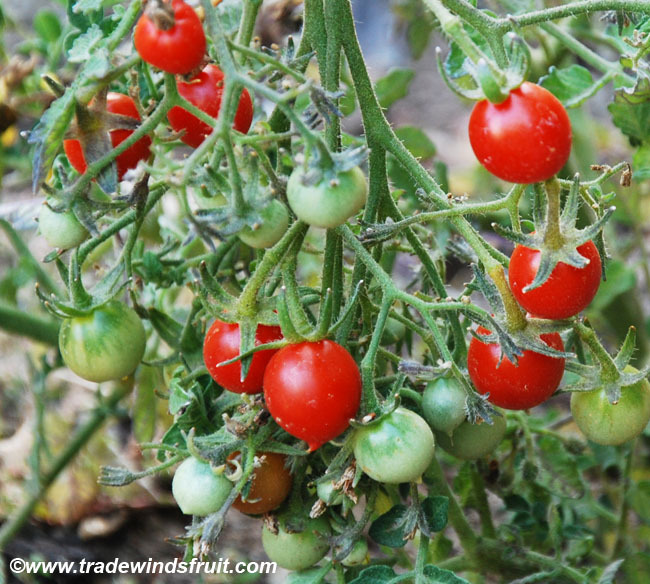 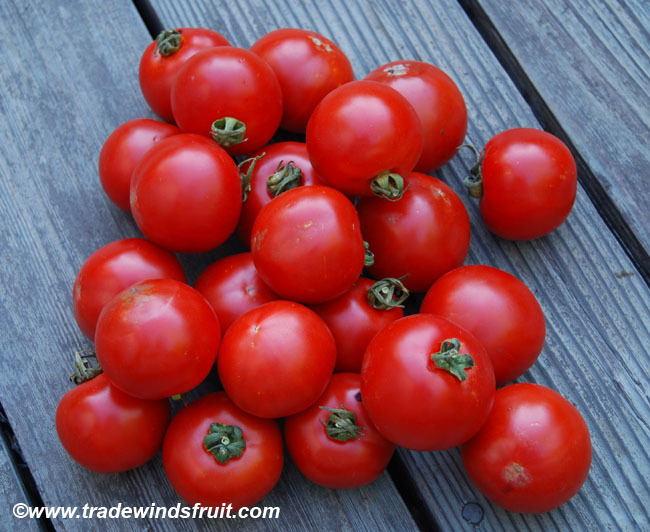 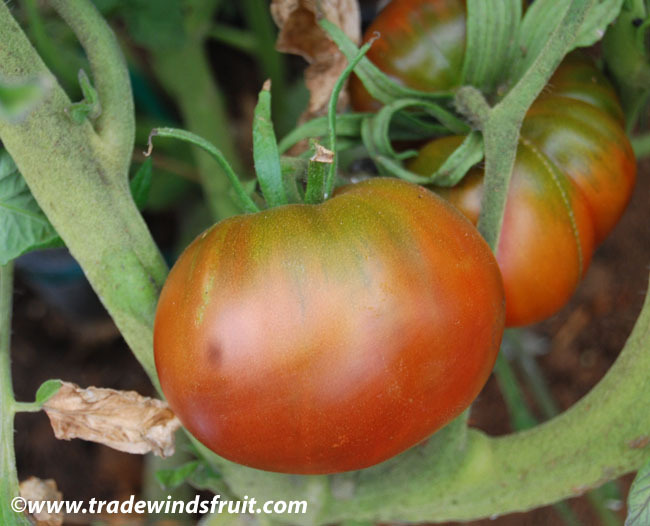 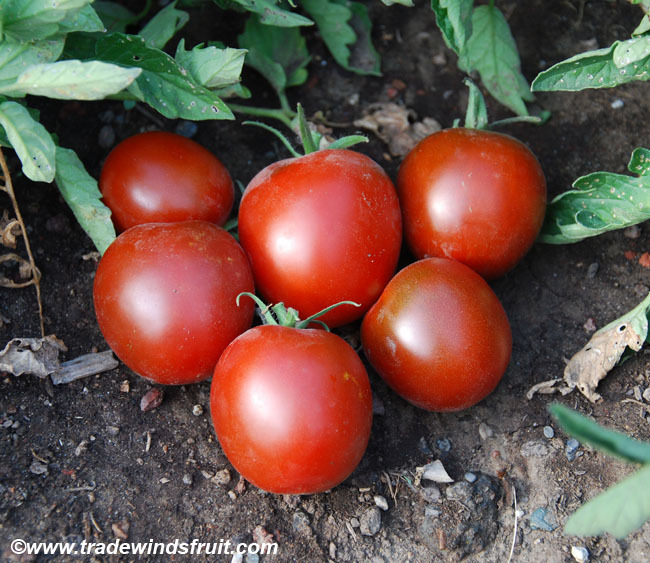 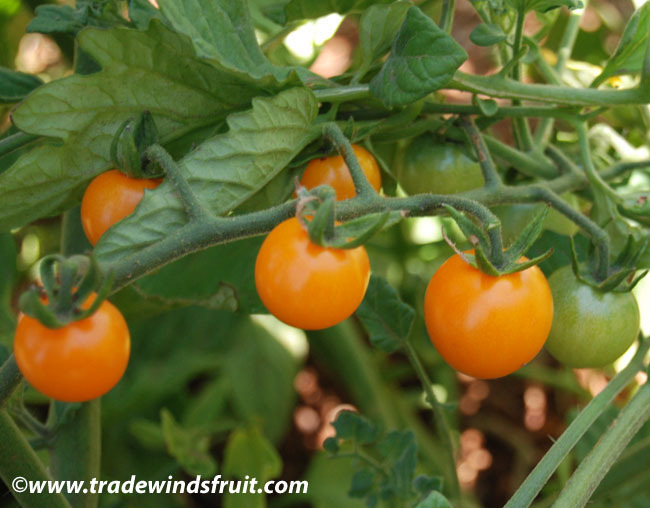 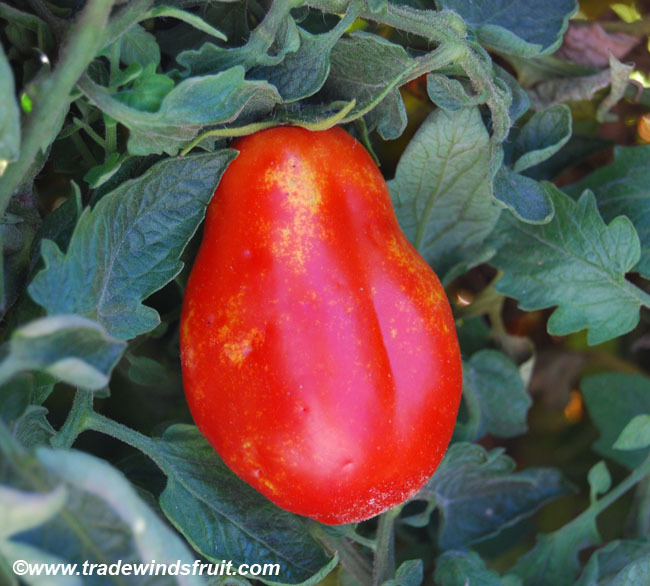 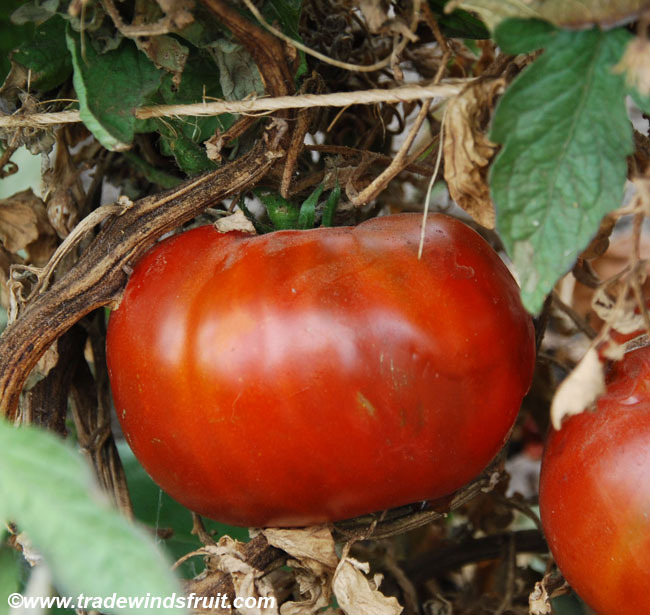 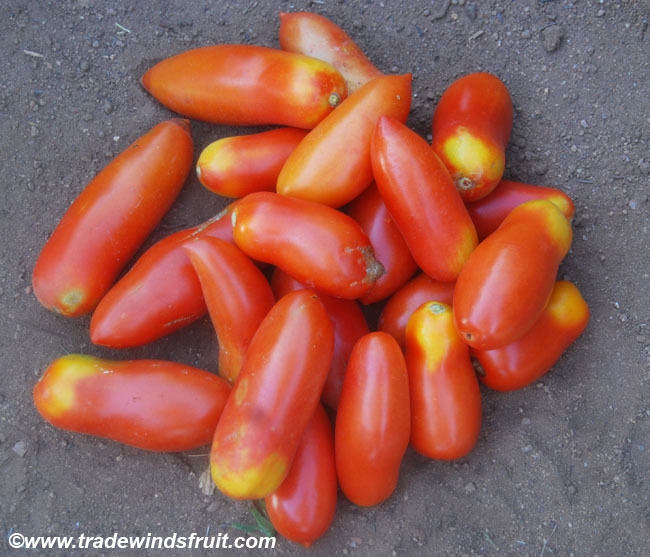 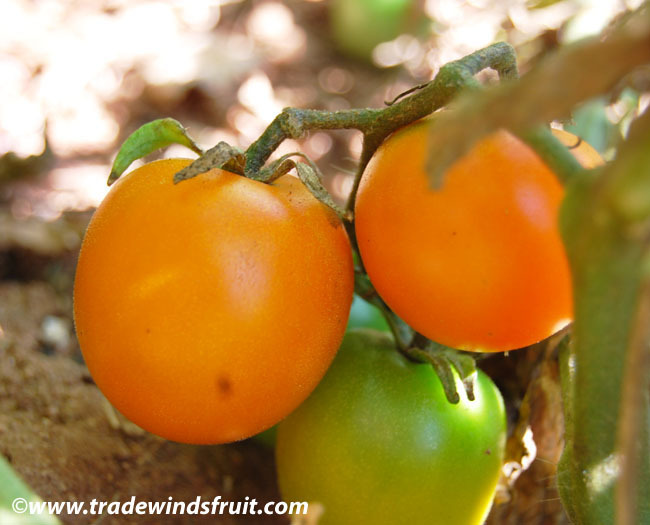 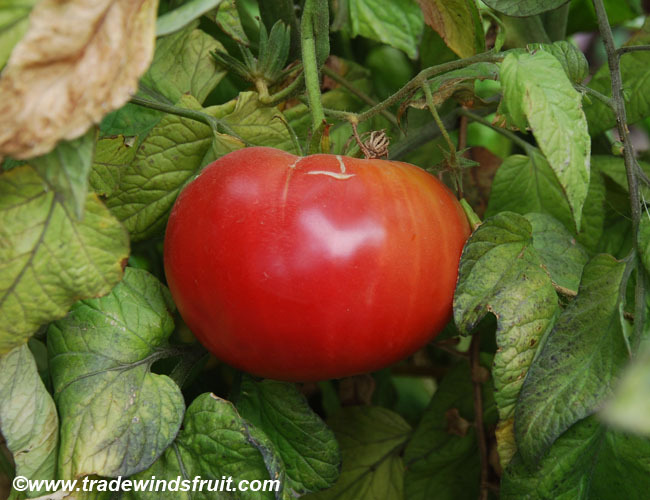 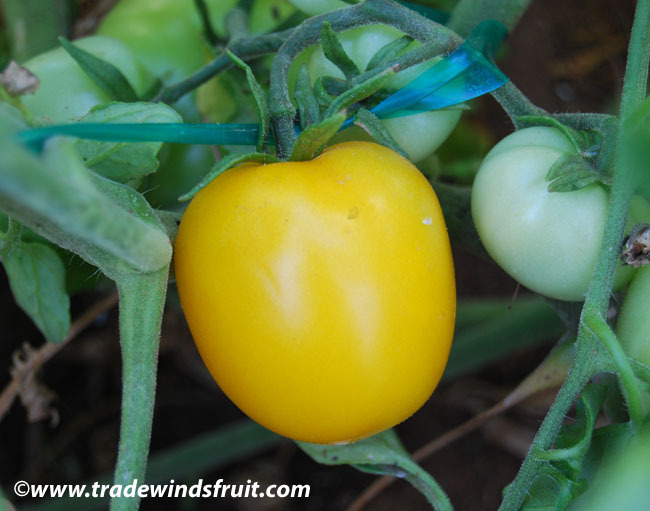 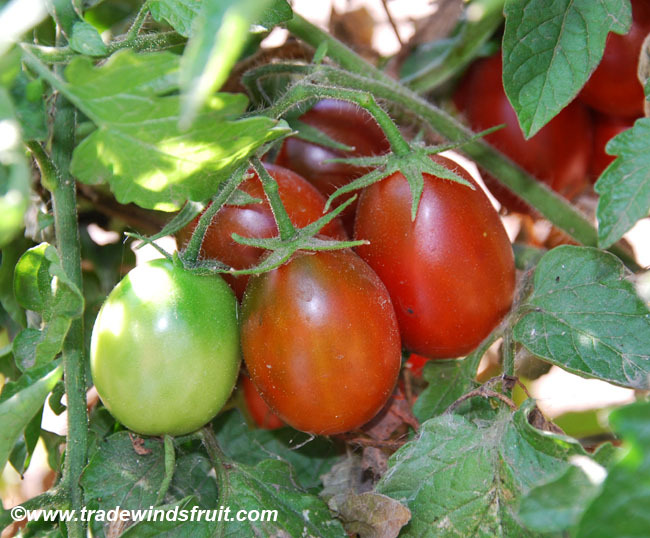 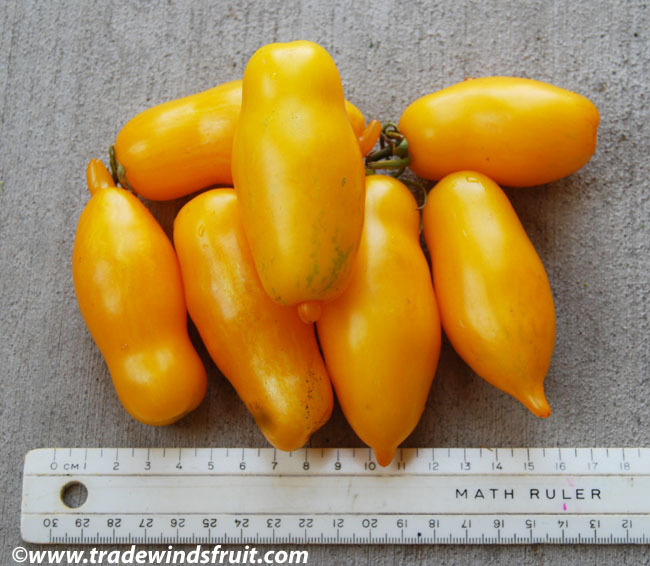 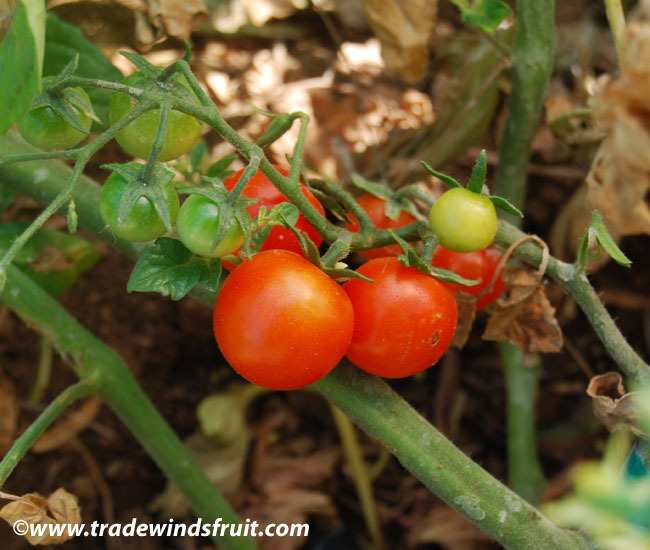 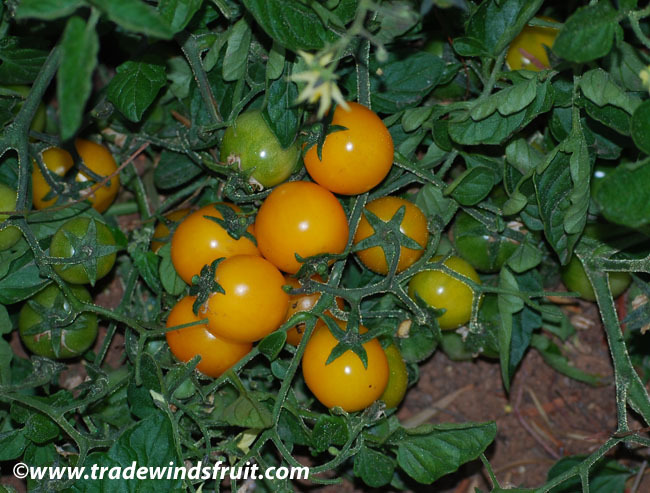 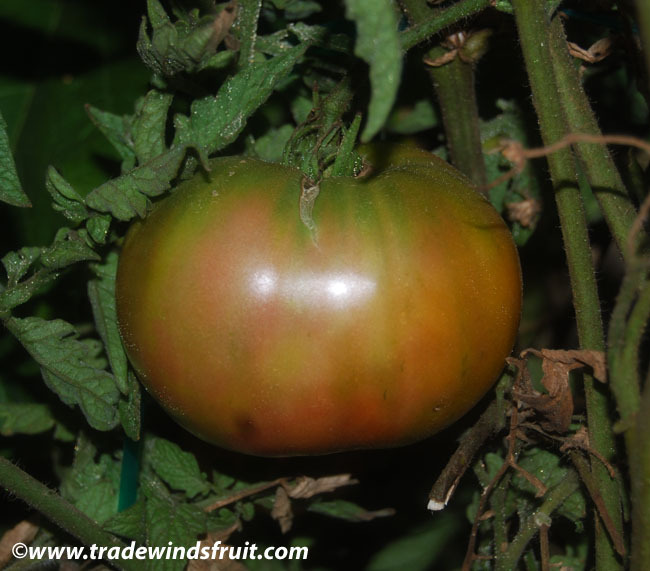 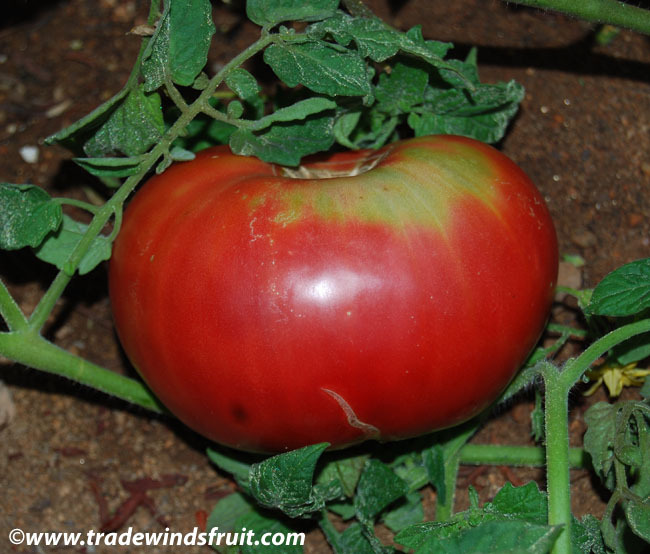 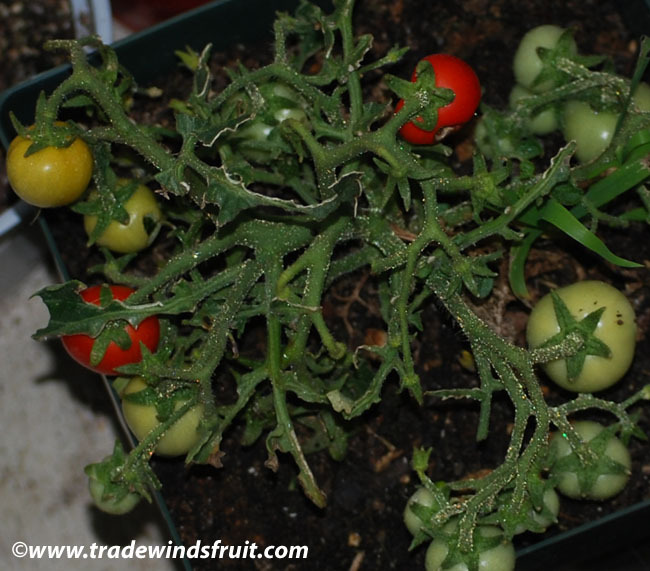 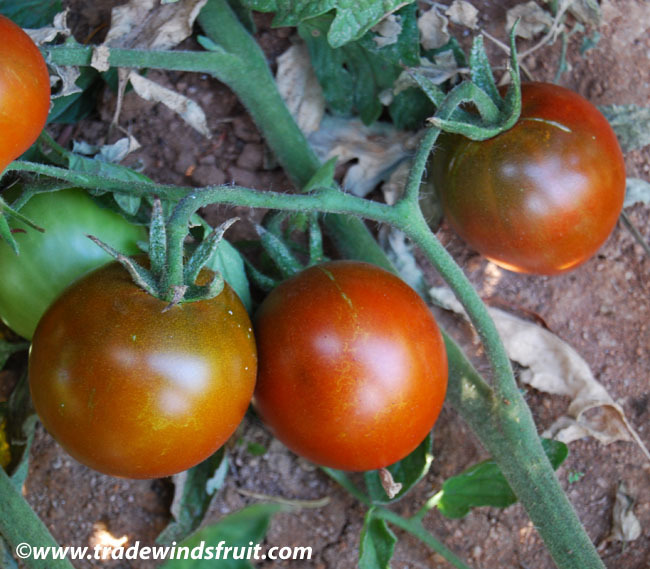 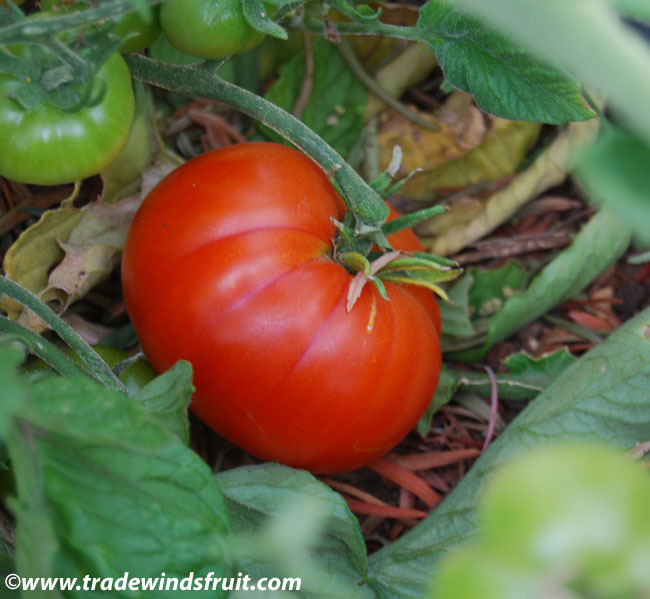 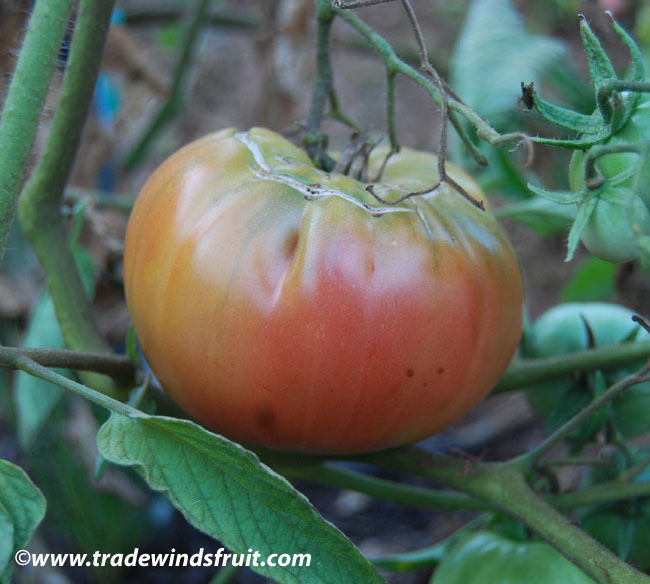 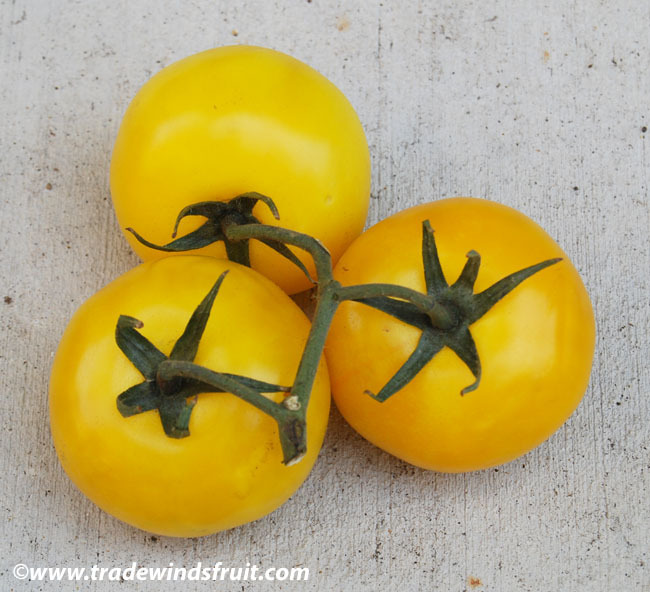 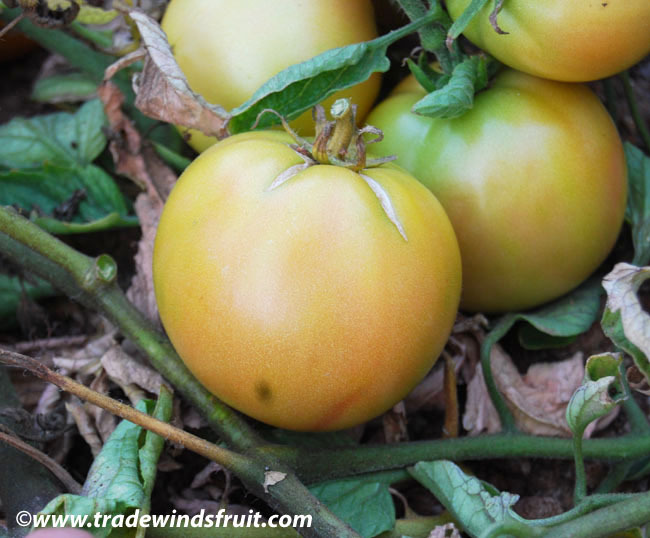 Fruits tend to ripen quickly so this variety is excellent for short summer areas. 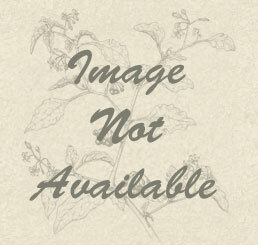 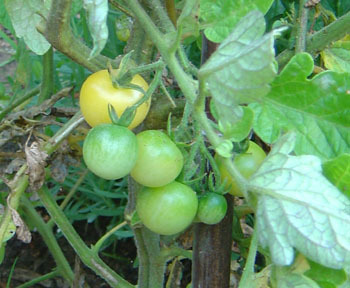 Plants are fairly vigorous, with large potato leaves. 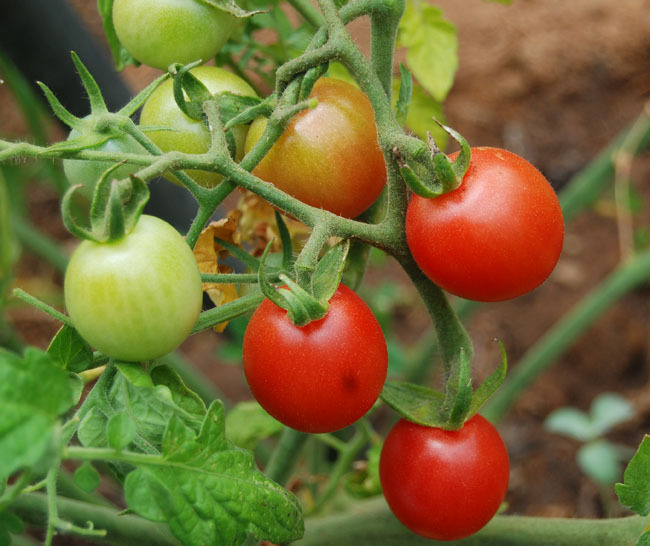 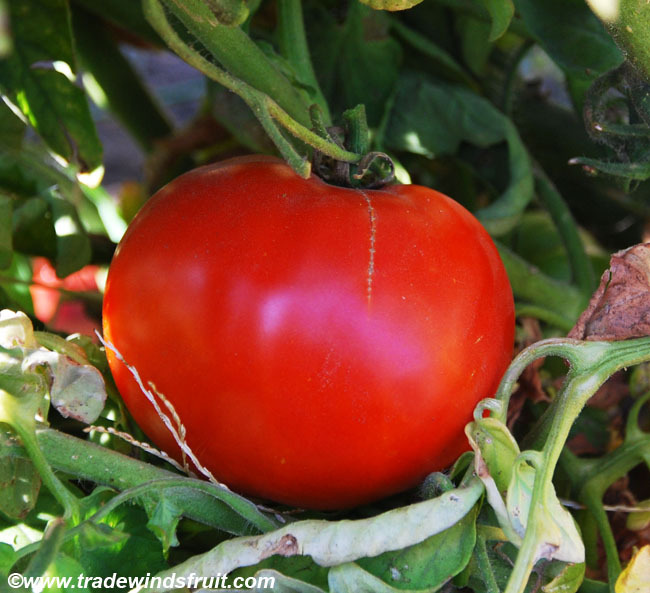 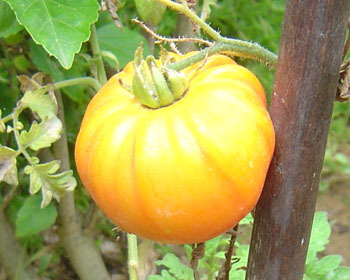 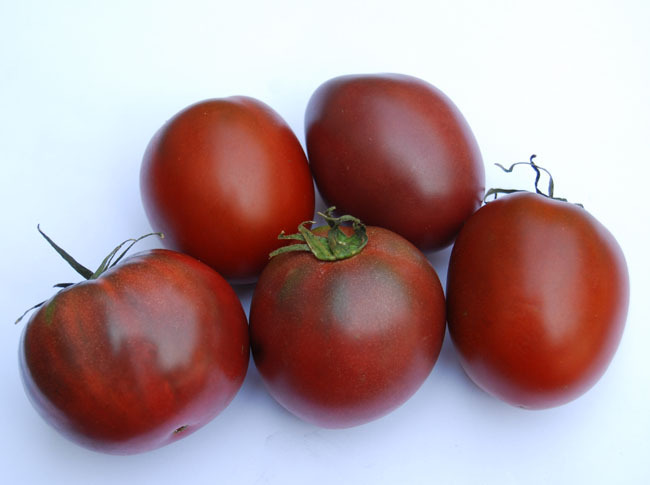 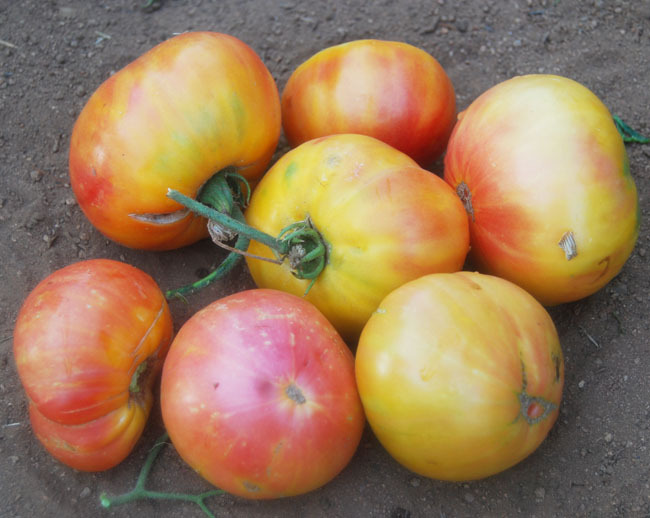 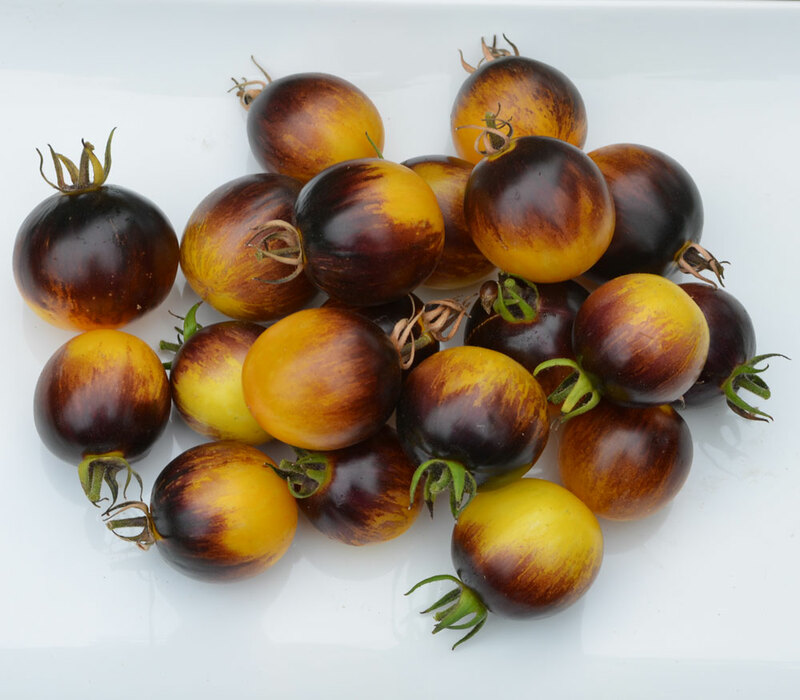 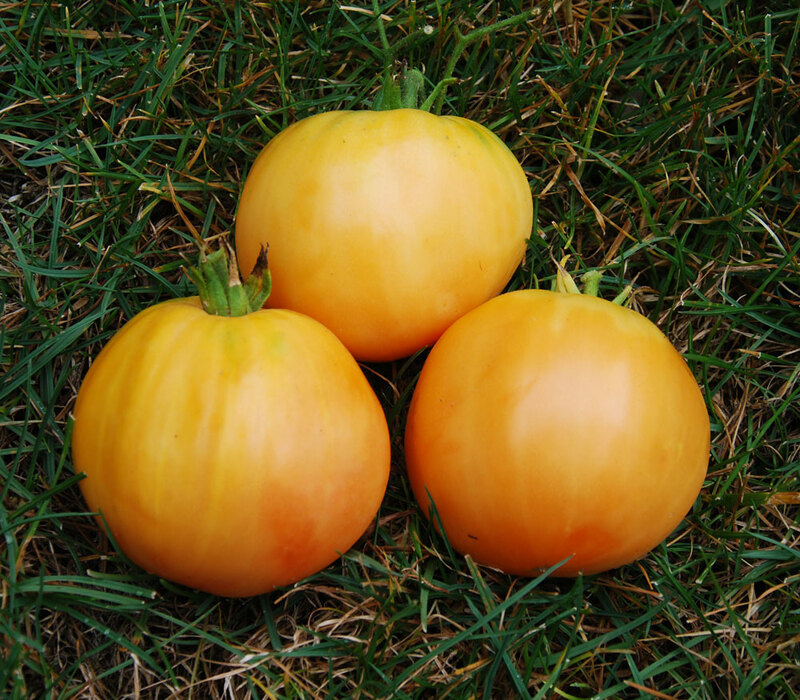 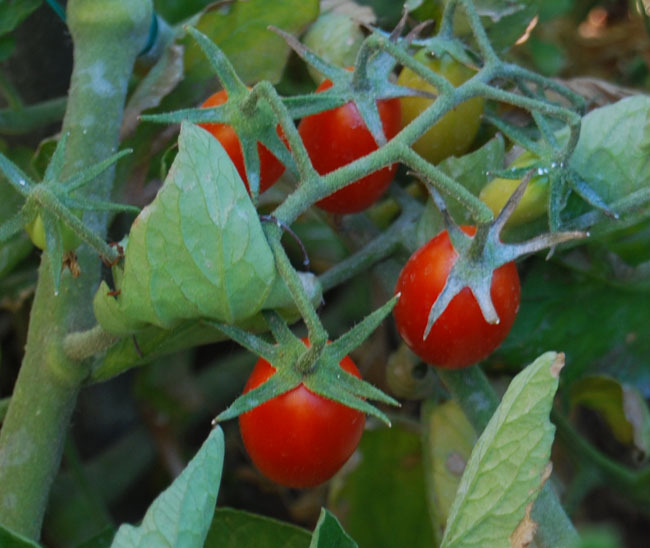 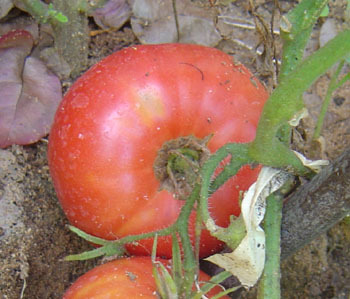 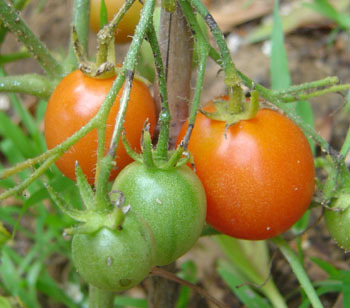 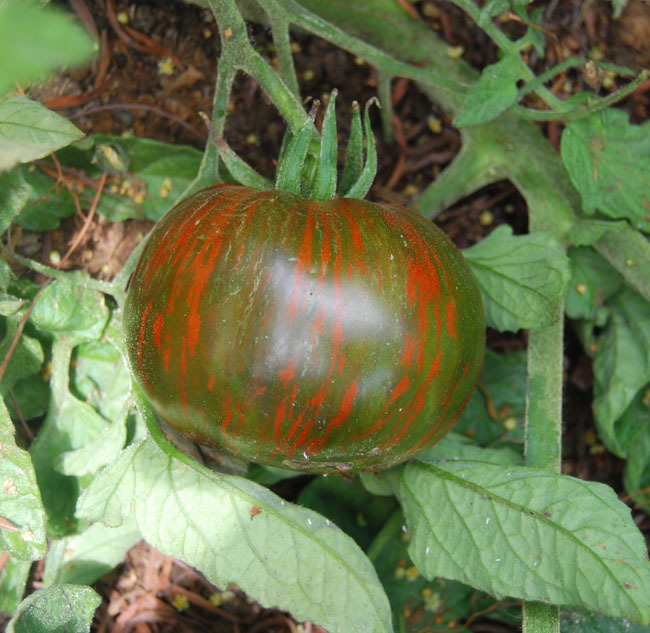 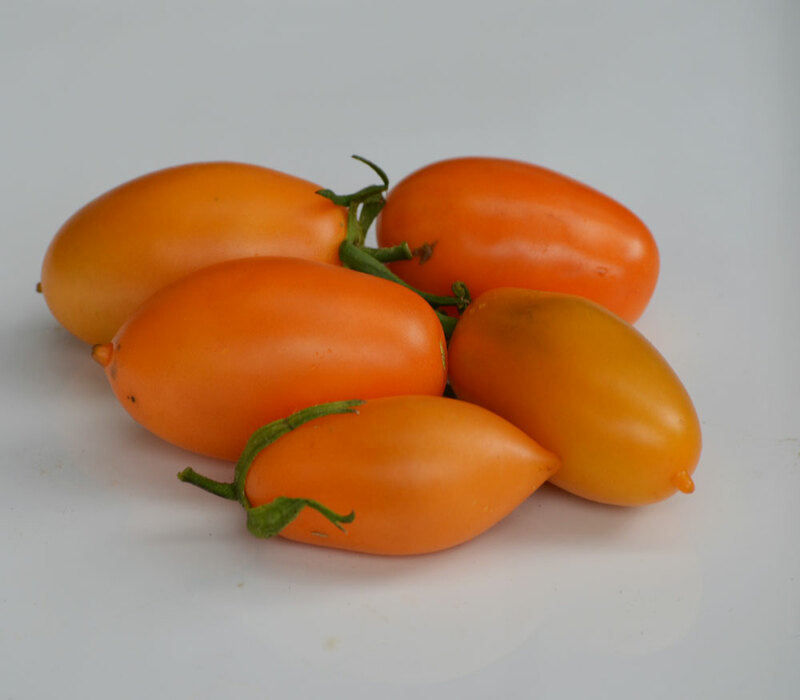 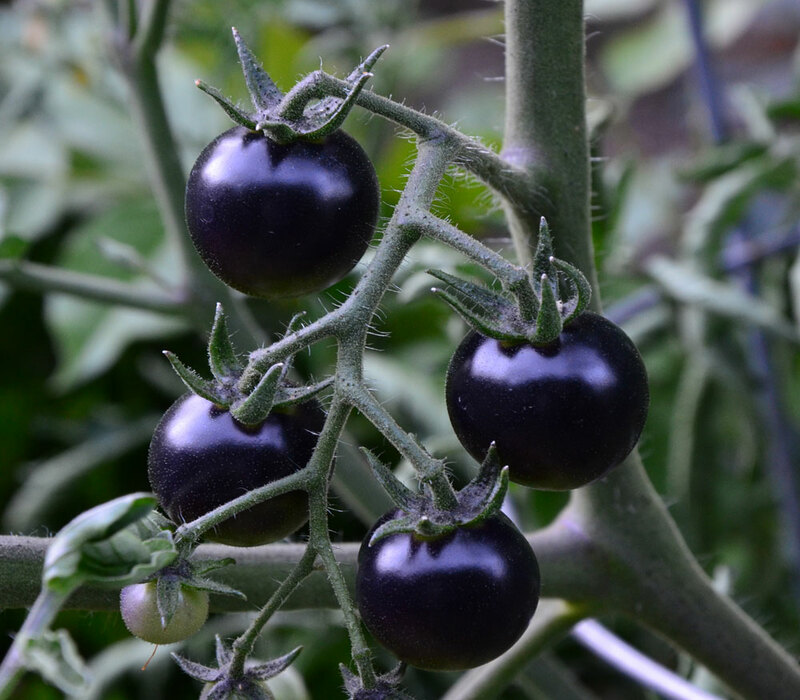 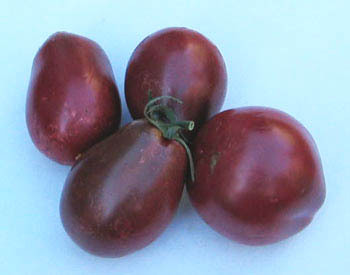 Fruits are not uniform in size, with some rounded and smaller, while others look more like a beefsteak tomato. 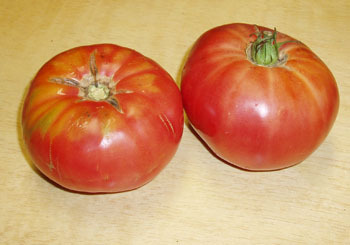 A popular variety, but still uncommon in cultivation.